Is Ferrari will make cheap supercar? 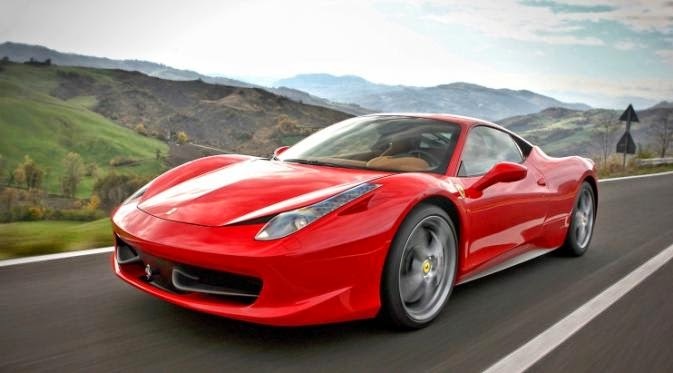 After successfully creating the California T which is the entry level sport car, Ferrari is now preparing an idea about cheap supercars based on the 458 generation. Fact, the capacity of the engine of the latest Ferrari sport car will have capacity under the three-liter with six-cylinder engine configuration. Ferrari seems to not want that sport car market which they have mastered it was taken by McLaren. As we know Mclaren is being intensively make the latest models have a wild performance, especially McLaren has succeeded in creating P13, a cheap supercar concept. As reported by Topspeed on Tuesday, June 24, 2014, the last time Ferrari configured six cylinder engine wear at Dino models were retired in 1974. Since then all Ferrari's V6 engine dedicated exclusively to F1 racing cars between 1980 and 1988. The Ferrari's cheap supercar will carry a 2.9-liter V6 engine and is equipped with a twin turbocharged. This supercar is expected to be a formidable challenger in the sports car segment which has been dominated by Porsche 911. Besides being more economical, this supercar will be very popular in China and some countries are implementing high taxes on vehicles with engine capacity above three liters. What's more, Ferrari has had a tailor-made center in Shanghai that can accommodate customization of consumer demand in China and Asia. According to reports, this supercar is capable of spraying power of 500 hp and torque of 400 lb-ft. Greater engine output is certainly tempting supercar lovers who may prefer a Ferrari than McLaren P13 and Porsche 911 Turbo when considered in terms of engine power produced.